When you are about to set out on a journey, always attend to the details to ensure that it will be trouble-free and enjoyable. As the saying goes, "every penny has its worth", when it comes to choosing a package tour, not only the price needs to be considered, the creditworthiness and service quality of a travel agency should also be taken into account. Before setting out, it is wise to check your itinerary to see if it includes the various activities / items that Macao has to offer. Get to know your itinerary in detail. Ask your travel agency for all information about the trip, especially the itinerary. You should also remember to ask for the receipt. Have you purchased appropriate travel insurance? Travel insurance can provide backup on your journey so that you can have peace of mind. Do you know who the receiving agency is? It is very important to have the contact details of the receiving agency in advance so that you can contact it should the need arise. 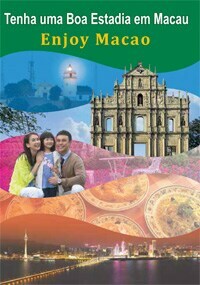 Only licensed travel agencies and tour guides are qualified to receive tour groups in Macao. Tour buses must indicate the identity of the receiving agencies, while tour guides must wear their tour guide cards issued by the Macao Government Tourism Office. If your group is going to stay in Macao, do you know where you will stay? Hotels in Macao are licensed and ranked according to the following categories: 2-star, 3-star, 4-star, 5-star and 5-star deluxe. Hotels of different ranks vary in facilities and service quality. Which sightseeing activities are included in your trip? Macao has a rich historical and cultural heritage worth enjoying in detail. Check your itinerary to know which places you will be visiting, so that you can prepare yourself for a satisfying visit. How will meals be arranged on your journey? Macao features many licensed restaurants offering numerous delicacies. Find out what the meal arrangements are to ensure that they suit you. Planning to go shopping? All kinds of goods and souvenirs are available in Macao. When choosing goods, remember that quality and price are generally in direct proportion to each other even though steep discounts may be offered. Macao has a free market economy; as such, prices are set by individual retailers. The same goods may be offered at different prices by different retailers. Remember to ask for a receipt identifying the seller when you shop - and ask about terms and conditions applicable to returned goods. Stay informed about the time slots that you may have to yourself on the trip, so that you may arrange some personal activities in Macao. It is very convenient to get around this little city. This advice is offered with you in mind, and it is our hope that it will help you have a wonderful time in Macao!